After a stint in the Navy as a radar technician, David Lykken launched an association with the University of Minnesota that lasted over 60 years. During this time, he was awarded his BA, MA, and PhD (the latter in clinical psychology in 1955) and was a professor in both the psychiatry and psychology departments. In addition to being an APS Fellow and Charter Member, Lykken was a fellow in both the American Psychological Association (APA) and the American Association for the Advancement of Science (AAAS). His seminal work scrutinizing the scientific basis of polygraph testing earned him APA’s Distinguished Contribution to Psychology in the Public Interest (1991) and Distinguished Scientific Contribution to Applications of Psychology (2001) Awards. He served as President of the Society for Psychophysiological Research (SPR) and was honored with SPR’s Distinguished Scientific Contribution Award (1998). Lykken’s scholarly interests were wide-ranging and earned him international recognition for his work in psychopathology, psycho-physiology, behavior genetics, statistical methodology, and lie detection. He produced over 200 scholarly works, including four elegantly crafted books devoted to lie detection, antisocial behavior, and happiness. His papers included well-known citation classics dealing with the core deficits underlying psychopathic personality, significance testing, and electrodermal measurement methodology. Concerned about the rights of those undergoing polygraph tests, he frequently offered trial testimony to block the admissibility of lie detector results and successfully led efforts before state and national governmental bodies to curtail abuses associated with polygraphic interrogation. Known for his innovative methods and ideas, Lykken developed the Guilty Knowledge Test, a scientifically sound psychophysiological technique for assessing the likelihood that a criminal suspect possessed incriminating crime-related knowledge. Puzzled by the observation that monozygotic twins could often be highly similar while dizygotic twins might bear no resemblance to each other for the same characteristic, he introduced the concept of “emergenesis,” the notion that genes work configuratively in combina-tion to determine selected traits like genius or beauty. His work on happiness led to his developing the idea of a heritable “happiness set point,” around which individuals fluctuate as a con-sequence of life’s upsets, but to which they return after a period of coping and adaptation. David Lykken had a profound impact on the work of many distinguished psychologists with diverse interests. Here a handful of us, in-cluding three former students, reflect on the nature of his contributions to their lives and work. I first met David Lykken in the Fall of 1982. At the time, I was a young and hopelessly naïve first-year clinical psychology graduate student at the University of Minnesota. That probably explains why, during our initial meeting in his Diehl Hall office, I felt intimidated almost immediately. David never was the warm and fuzzy type, and he was formal and reserved in my first conversation with him; he spoke of his research on psychophysiology, and I did my best to hide the fact that I had absolutely no idea what he was talking about. In my seven years as his advisee, I never came to know David well personally. He took pains to keep his family and professional lives separate, and he virtually never spoke to me about his wife or children. I referred to him as “Dr. Lykken” throughout my time at Minne-sota, and called him “David” for the first time only upon receiving my PhD. Yet David always treated me with the utmost respect. He was an uncommonly fair, honest, and kind advisor, and he never made me feel foolish even when I asked foolish questions. He never engaged in hand-holding, but he was always available when I needed him. Over time, I came to feel a certain warmth toward him, because I knew that I could trust and count on him. David was a straight shooter, an attribute that I’ve come to appreciate more and more with each passing year in academia. I learned many things from David over the years, but I’ll focus on three here. First, David taught me intellectual integrity. Because David believed that the journal review process should be open and aboveboard, he signed his reviews, a practice that I have almost always emulated. Moreover, I was deeply impressed by David’s intellectual non-defensiveness. 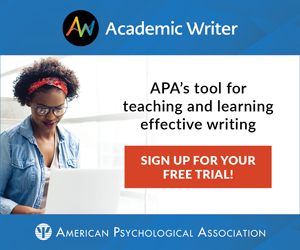 As a graduate student, I recall reading his review of a manuscript that was critical of “range correction,” a technique he had developed for adjusting psychophysiological data for individual differences in range of responsivity. The author had discussed the limita-tions of range correction and proposed an alternative method. In his signed review, David observed that the author had raised several use-ful criticisms of range correction, and recommended that the manuscript be published following revisions. I never forgot that review, and have always wished that more scholars placed considerations of science above ego. Second, David taught me intellectual independence. He was fond of saying that he liked to give his students “room to swing,” and he afforded me more than enough intellectual space to explore whatever research questions struck my fancy. Especially in my early years as a graduate student, I found this independence to be a bit frightening. But in the long run it forced me to become a more self-reliant and resourceful scholar. Over time, I learned how to formulate research questions largely or entirely on my own, an experience of which a surprising number of today’s graduate students are deprived. Third, David taught me intellectual courage. I admired his willingness to take on proponents of the polygraph (or so-called “lie detec-tor”) test, both in the pages of journals and in the courtroom, even though his scientific stance against this technique earned him more than his share of often vitriolic criticism. Yet David became the world’s most prominent critic of the polygraph test and endured this criticism because he believed that his views needed to be heard. I will miss David Lykken. I looked up to him and will never forget the invaluable lessons he taught me. Unlike some academics who are carefully polite in public disputes, David Lykken was never concerned with niceties of diplomacy when he thought an opinion, like support for the polygraph, was not only false, but as is currently documented on www.antipolygraph.org, also evil. Accordingly, David did not hesitate to use undiplomatic rhetorical methods against the academic supporters of what he described in his writings as the “psychological rubber hose.” David could be impolite at the oral level, too. I recall a presentation of his that was designed to set the audience straight after his opponent, another psychophysiologist, had previously given a very favourable account of the polygraph at a debate in my department. The audience’s unease did not last, however. David delivered a closely-reasoned talk that convinced most of them that his opponent’s position was not only wrong, but socially dangerous. That talk had a great impact on me: It led me to examine how the polygraphic community used terms like “control,” “test,” and “quan-tification” in ways that appeared to be scientifically meaningful, but were actually misleading and pseudo-scientific. By the time Gershon and I wrote our book on the detection of deception, our acknowledgement of David as our main source of wisdom in this area was most fitting. In a community of scholars, however, being influenced by someone else’s ideas is compatible with having sharp disagreements with that scholar. David and I had such disagreements, both regarding the polygraph and also with respect to more esoteric issues. In the poly-graph area, our disagreements included questions such as whether the polygraph should be called a test (I do not think so) and whether the claim that the polygraph is no better than chance at detecting guilt should be made (again, I do not think so). But never during these pub-lished disagreements did David show any signs of the professional tension that one often finds among academics. With David, these ar-guments continued for some 30 years but our relations remained cordial, as one would expect in a community of scholars who advance knowledge through the conflict of ideas, not personal conflict. David was a scholar par excellence and a most articulate one at that. His command of English was unrivaled among psychologists, at least in my experience. For example, in an abstract of an article that he wrote in response to a paper by one of his critics, he said that, “af-ter careful debridement, nothing of substance was found to remain.” When I looked up “debridement” in the dictionary (surgical removal of foreign matter and dead tissue from a wound), I was amused to see how apt that term was in David’s skilful polemical hands. So, like Gershon and many others, I’ll miss David’s wisdom, but also the way in which he purveyed that wisdom to the academic and scientific community. David Lykken’s scientific contributions were extraordinary for both their breadth and their impact. His dissertation published in 1957 created research on the experimental psychopathology of psychopathy. He theorized that psychopaths’ antisocial behavior derived from a failure to develop fear in anticipation of punishment and demonstrated three deficits in psychopaths related to that failure: diminished classical conditioning in anticipation of shock, a behavioral deficit in avoiding punished responses, and low scores on a questionnaire designed to assess the effects of anxiety on behavior. Low fear continues to be a major conceptualization of the temperament contribution to antisocial behavior. His 1995 book was a brilliant review of the literature on psychopathy. In a second high-impact contribution, Lykken criticized the uses and abuses of the traditional lie detection test and developed the Guilty Knowledge Test — a sound and safe (for innocent suspects) alternative. His publications and personal testimony stimulated public policy debate on this critical topic that affects the lives of so many people, especially through employee lie detection. One major conse-quence of his efforts was that the U.S. Congress has banned most lie detection from the workplace. Lykken had a major impact in two other areas. Following his extensive research on methods of recording electrodermal activity, a 1971 publication (with Peter Venables) provided a badly needed standardization of electrodermal recording, which has been used in almost all electrodermal research since. In research with twins, Lykken documented the substantial heritability of various psychophysiological measures on the basis of twin studies, and he championed the importance of the tendency for the effects of several or many independent genes to combine configurally rather than additively — a phenomenon that he labeled emergenesis. Three examples will serve to illustrate the impressive breadth of his scholarship. First, he identified and investigated the phenomenon he called preception — the ability to reduce the emotional impact of a predictable aversive stimulus, often indexed by the electrodermal response. Good preception is a risk factor for both psychopathy and substance abuse and is currently being used at Minnesota in a Lyk-ken-initiated large longitudinal twin/family study. Second, a 1971 article argued that the complexity of biological influences on behavior makes it unlikely that factor analysis can be used to discover a limited number of dimensions of temperament, and he illustrated his point elegantly with a couple of examples where the true structure is known. Third, an influential 1968 Psychological Bulletin paper argued that hypotheses are more strongly supported through “constructive replication” in which the investigator tests the original hypothesis with different methodology. This brief description of Lykken’s many contributions does not do justice to the quality and depth of his papers. Paper after paper is a classic, offering unusually original insights into, or fundamental methodological contributions to, many different areas of research. In a great many ways, Lykken made invaluable contributions to our field — as an experimentalist, scholar, idea source, methodologist, mentor, and advocate. He will be greatly missed by those of us who followed his work. Bouchard, T. J., Jr., Lykken, D. T., McGue, M., Segal, N. L., & Tellegen, A. (1990). Sources of human psychological differences: The Minnesota study of twins reared apart. Science, 250, 223-228. Lykken, D. T. (1991). What’s wrong with psychology anyway? In D. Cicchetti & W. M. Grove (Eds. ), Thinking clearly about psychology Volume 1: Matters of public interest. Minneapolis, MN: University of Minnesota Press. Lykken, D. T. (1998). A tremor in the blood: Uses and abuses of the lie detector. New York: Plenum. Platt, J. R. (1964). Strong inference. Science, 146, 347-353. Sesardic, N. (2005). Making sense of heritability. Cambridge: Cambridge University Press. T hrough his wide-ranging research, David Lykken made an important impact on various areas of psychology and psychophysiology. My own research overlapped Lykken’s research and writing in the area of human orienting responses and its well-known forensic application, “psychophysiological detection.” In 1990, my colleague John Furedy and I wrote in the preface to our book, Theories and Applications in the Detection of Deception, that “the single person who has been most influential in our thinking about psychophysiological detection has been David Lykken.” Indeed, his critical thinking and eloquent writing have had an enormous impact on most scientists working in this area today. David was the first to recognize and thoroughly understand the major flaws of the “Control Questions Technique” — the most popular lie-detection method, widely used in North America, Israel, and some European countries. In his 1974 American Psychologist article, Lykken explained these flaws and showed how the alternative method, “The Guilty Knowledge Test,” can overcome most of them. But David did not function only within the “ivory tower” of academia; once he realized the extent of the damage and the horrendous consequences that stem from using a flawed lie-detection method, he devoted much of his time and effort to warning Congressional committees and the general public against the expansion of lie-detection. David often testified in court and made convincing arguments against the admissibility of lie-detection tests in criminal cases. Although David’s endeavors were not entirely successful, as lie-detection is still used in the United States, he was certainly influential in restricting its use. The Employee Polygraph Protection Act, which bans pre- and post-employment screening in the private sector, was signed into law in 1988 largely due to the efforts of David Lykken. David’s influence on my own thinking, research, and teaching was not restricted to lie-detection. His critical thinking shaped my at-tempts to distinguish applications based on real scientific principles and findings from those based on pseudoscience (e.g., using handwrit-ing analysis for personnel selection). His influence extended to my teaching and in particular to the teaching of research methods. For ex-ample, David’s Psychological Bulletin article dealing with the use of significance testing in psychological research, published in 1968, caught my attention when I was a teaching assistant, and I later included it as required reading in my methodology courses. My colleagues and I will miss David’s wisdom and particularly his clear and eloquent writing. Blessed be his memory. David Lykken and I clicked almost as soon as I arrived in graduate school. As an undergraduate, I became interested in individual differences in the nervous system typology proposed by Pavlov. To my astonishment, Lykken had an NIMH-funded research program to investigate this arcane topic. I was fascinated by his approach, which involved electrodermal and EEG measurements. Although I knew nothing about psychophysiology, using electrophysiological measures to study psychological processes had enormous appeal to one who had only recently given up aspirations to be an engineer. David seldom assigned me work or told me what to do. Instead, we would discuss topics of mutual interest, and he would guide the development of research ideas I had and help dispense with impediments to implementing them. This enabled me to create an independent research portfolio while working in his lab on projects important to him. He facilitated my efforts by giving me free rein in the lab and the resources needed to optimize success. I was never quite sure how good I was, but it was clear to me that David believed I deserved the chance to show what I could do. I thrived in this relatively unconstrained but quite supportive environment, and have endeavored to ensure that David’s academic grandchildren, my advisees, have had similar opportunities. Another lesson learned working with David was that research isn’t worth doing if you aren’t striving for replicability. Of course repli-cability is not guaranteed, but by refining methodology and giving painstaking attention to design details likely to influence results, we can at least take pride in what appears under our byline. David once said that you could tell how thoughtful the author of an empirical paper was by noting the nature of the details included in the paper’s method section. Authors who include nonessential information, like the brand name of the tape recorder used to deliver instructions to participants, have missed the point, a principle I’ve kept in mind throughout the many years I’ve reviewed research reports. I n spring 1958, I was completing my first year of graduate studies in psychology at Minnesota. A daughter’s birth the summer before forced me to supplement my teaching assistantship, so I acted on a flier announcing a research position with David Lykken. (At age 30, in his second year as tenure-track faculty, David received funds to hire an assistant.) We arranged to meet in his office in Temporary South of Mines (TSM) one of several two-story barracks buildings erected after WWII; this one was assigned to the psychiatry research department, newly created by the Minnesota legislature, while its permanent home was under construction. TSM was distinctly temporary, indeed scruffy in appearance, but within it, I experienced superb graduate training. David and I hit it off at once: he was but seven years older than I, and like me, had a young, growing family. He took me for a drive in his TR2 roadster, acquired during his post-doc in England, and with driving gloves and flying scarf, I saw for the first time his enormous zest for life. I was ready to do whatever he asked. My first assignment was to help devise a way to measure GSR in rats (Lykken & Rose, The American Journal of Psychology, 1959, 72:621-622); the next, more intriguing, to explore psychological prediction from actuarial tables (Lykken & Rose, Journal of Clinical Psychology, 1963, 19:139-151). Meanwhile, I shepherded subjects through imaginatively simulated crime scenes to validate his guilty knowledge procedures. I quickly gained great appreciation for the remarkable breadth of David’s scholarly interests. Paul Meehl had an office in TSM and often joined us in discussions. David loved reasoned argument, and the mentoring I received from him remains with me always. Nor did it end with my dissertation and departure for a post-doc with Donald Hebb. I received his let-ters, some filled with acerbic scorn for bad ideas, others praising ideas, occasionally mine, that he thought clever. Once, we publicly en-gaged in argument (Rose & Kaprio, Behavior Genetics, 1988, 18:309-328; Lykken et al., Behavior Genetics, 1990, 20:547-561; Rose et al., Behavior Genetics, 1990, 20:763-778); afterwards, he wrote to say how much intellectual fun it had been — and that I had it wrong. Quiet and self-contained, David rarely attended meetings away from Minnesota, and too few personally witnessed the power of his in-tellect. He was uncomfortable behind a lectern, unmatched in one-on-one discussion. I can vividly picture him now: eyes half closed, brow furrowed, one hand stroking his beard, the other holding his pipe, and his imaginative ideas cascading out, one after another. That mental picture is very special. David made significant contributions to very diverse areas of psychology. He and I both migrated into behavior genetics, and, for me, his most important contribution was his creation of the birth-record based Minnesota Twin-Family Registry, a Herculean achievement that will be his lasting legacy for his Minnesota colleagues and for us all. Lykken, D.T. & Rose, R.J. (1959). A rat-holder and electrodes for GSR measurement. The American Journal of Psychology 72: 621-622. Lykken, D.T. & Rose, R.J. (1963). Psychological prediction from actuarial tables. Journal of Clinical Psychology, 19: 139-151. Rose, R.J. & Kaprio, J. (1988). Frequency of social contact and intra-pair resemblance of adult monozygotic (MZ) cotwins: Does shared experience influence personality after all? Behavior Genetics, 18: 309-328. Lykken, D.T., McGue, M., Bouchard T.J., Jr., & Tellegen, A. (1990). Does contact lead to similarity or similarity to contact? Behavior Genetics, 20: 547-561. Rose, R.J. & Kaprio, J. with Williams, C. J., Viken, R. & Obremski, K. (1990).Social contact and sibling similarity: Facts, issues, and red herrings. Behavior Genetics, 20: 763-778. We lost our father (and grandfather) seven years ago today. David would have been proud of the accomplishments of his ten grandchildren, many having been educated at such places as Duke, Northwestern, Yale, and Harvard. Three of them are autistic, one profoundly affected. My eldest, Zeke, is a bio-medical engineer and is determined to find a way to help his siblings, and others, enjoy a more fruitful life. Dad would have liked that (I often fantasize of the two of them working together on such a project!). A copy of ‘Tremor in the Blood’ is sitting on my computer table. We were very, very proud of David, and it is so gratifying to our family to know how he was such a positive influence on the careers of such distinguished individuals. Please accept the thanks from the entire Lykken clan for all of your kind thoughts and for sharing such wonderful stories. The main thing I learned from David (and Zeke learned from me) is to hell with what other people may think, just tell the truth as you see it and show no fear. Works every time. Your father and grandfather’s work has come into my life as I am seeking a way out of the dark deception of polygraph testing for a family member. His recognition and bold speaking out against the travesty of using such pseudo science has given me hope and courage to seek professional guidance. His profound love and concern for his fellow human beings is a lasting legacy we should all strive to attain. God bless you and continue to comfort you. I had lunch @ Palomino in DT Minneapolis in 1995 or 96 with Dr. Lykken ( and Mpls Radio/Political Gadfly Barbara Carlson-ex-wife of Frmr. Gov Arne Carlson). My primary agenda was to discuss and get their take on an idea of “parental licensing”. After proposing that couples who obtained a “parent license” ( after demonstrating similar attributes of adoptive couples, e.g. economic, psychological soundness, lack of criminal record, etc.) I proposed that such couples receive favorable governmental treatment and benefits, such as childcare vouchers, healthcare subsidies etc. Both were in total agreement with the above, and, to my surprise, both indicated that couples who failed to obtain their license should lose the right to raise their children! I still believe that there might be a class action on behalf of natural born children who have been neglected or abused, that they have been abandoned by governmental protection, in contrast to the class of adopted children, who are, at least nominally assured that their parents will be better prepared for the rigors of parenthood.